It is with the deepest sadness that I have to report the death on March 28th of Mrs Betty Wright of the Crindle French Bulldogs. Although not active in the breed for the last few years, from the 80s to around 2010 she was a leading light and tower of strength in our breed. She made up her first champion, Muffin - Miss Ragamuffin of Crindle in 1988 and her last champion - Crindles Faberge in 2008. We became friends shortly after I returned from Sweden in 88, and I always admired her ability as a handler and her undoubted talent as a breeder. Champion after champion came from her lines, although she did not breed many litters - just when she wanted something new to bring out in the ring. As a handler, well, not for her stringing up and stacking - just a happy Frenchie at the end of a loose lead, standing four square and gazing at its owner. On the move, her dogs would walk round the ring on a relaxed lead, keeping an eye on their tall, slim handler - always elegantly turned out. She was an example for any newcomer to follow. At home the dogs were bouncy, happy house pets enjoying a long life in their lovely home and garden in Morecambe. Her first homebred winning dog was Mr Benjamin of Crindle who died tragically young at 17 months. He did, however, win 2 CCs and sired at least one champion. Showing a dozen or so champions she was many times top breeder and owner of the top dog, and I will never forget the fabulous Ch. Hello Dolly Crindle, who won around 15 CCs. Always with her devoted husband Barry they travelled the country in their motor home - with all the dogs, distance being no object. They were hard working and loyal helpers of the M&NCFBC. 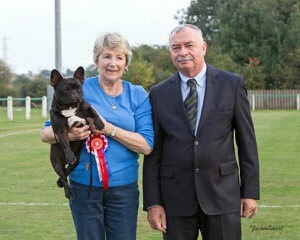 Betty became the first President of the Pennine & Scottish French Bulldog Club and she and Barry were Founder Members. She judged the breed at championship level but I don’t think she was madly keen on judging - showing of course she loved. Our thoughts are with Barry; friends join in sending deepest sympathy at this time. Betty will be missed so very much. Helen Cottrell had had French Bulldogs for many years, but a few years ago she was diagnosed with a terminal disease. 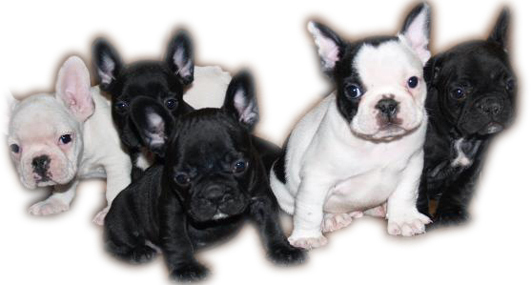 The family around that time had a Frenchie from Paul and Marilyn Worsley. This little dog gave Helen lots of love and affection when she needed it most. When she passed away she had a lot of Frenchie Memorabilia and which she left to Paul, to help with the instruction to sell it to raise money for the new Pennine and Scottish French Bulldog Association. Auctions were held at the last two shows which raised a considerable amount of money for the Club. The Club is honoured to be holding Special Award Classes in her name. At its recent meeting the Committee reconsidered the proposed amendment to the Breed Standard colour clause, noting correspondence from one of the breed clubs regarding the listing of ‘Fawn Pied’ as a separate colour. Whilst the club’s concerns were appreciated, the Committee agreed that the wording as previously advised gave a clear, strong message about the accepted colours in the breed. Also, the other two breed clubs had confirmed their support for the proposed wording. The amendment as follows is now being processed, to become effective from 1 February 2015. 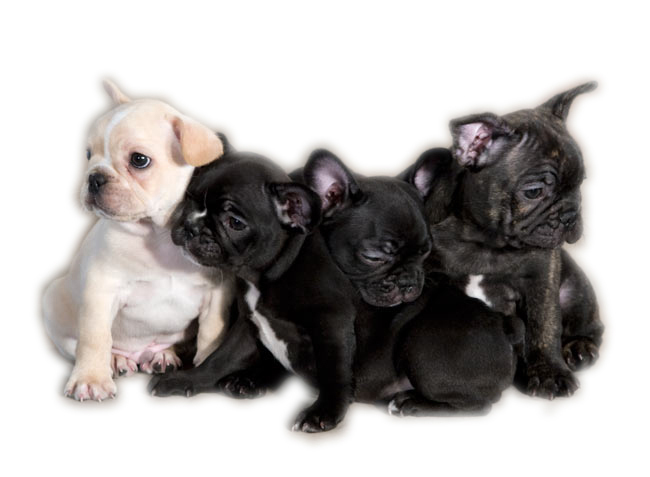 Colour The only four correct colours are: Brindle; Fawn; Brindle Pied; Fawn Pied. Brindle – Colour pattern caused by a mixture of black hairs and fawn hairs. White markings permitted provided that brindle predominates. Fawn – Clear, self-coloured fawn with or without a black mask. White markings permitted, provided that fawn predominates. Cream and red shades less desirable. Brindle Pied – White predominates with brindle patches. [The brindle as defined above]. Fawn Pied – White predominates with fawn patches. Any white should be clear with no ticking or spots. Nose, eye rims and eyelashes black in all colours. All other colours highly undesirable, including solid black, black and white, black and tan, mouse, grey/blue, liver/chocolate and all patterns of these colours (see Introductory Paragraph). 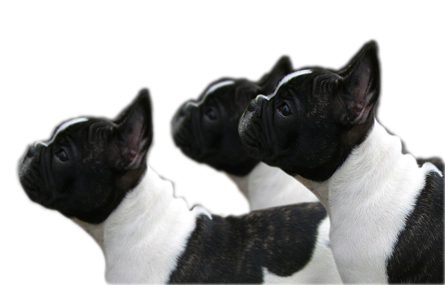 Members of the Pennine and Scottish with their attended The National Pet Show at the NEC, Birmingham over the weekend of 20/21st September to represent the French Bulldog breed. Crowds were thick around the stand wanting to hold and strike the dogs, as well as ask numerous questions, many concerned with the best way to find a healthy puppy. It was a long weekend for both dogs and handlers but very worthwhile. Many Thanks to the M&NCFBC for the loan of their display boards. The puppies are often sick, malnourished, totally exhausted and have false papers. In this state they are transported in vans clean across Europe and then offered for sale to wealthy buyers. Four Paws (Vier Pfoten) International ascertained this over many months and discovered many of the wheelings and dealings of these lousy dog traders.